On Ist November 2011, Youth Organisation PAHAL organized a Painting Competition at Sant Raghubir Singh AIMS Senior Secondary School Jalandhar with the co-operation of Blood Bank Civil Hospital Jalandhar. The main objective of the Competition was to spread awareness about AIDS and Promote Blood Donation . Chairman S.Avtaar Singh was there as Chief guest of the function.While addressing the students Mr.Singh said that in India per minute 1 unit of blood is required specially at the time of accidents, heart operations etc. He further said while giving detailed information regarding AIDS that drug addiction is one of the major causes in spreading and developing AIDS in the society. The negative approach has thrown the youth of the country into the darkness of helplessness and disease like AIDS etc. In the competition Mandeep kaur and Vinanja stood first and second respectively and third prize went to Ria . 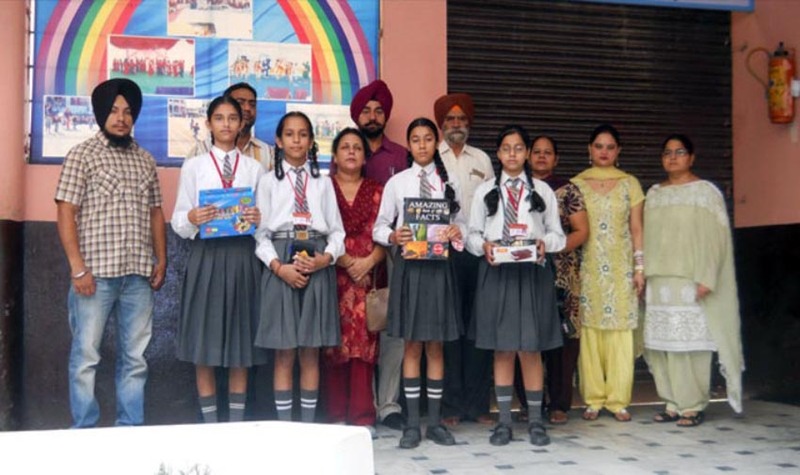 The prizes were given away by Professor Lakhbir Singh President PAHAL Principal Madam Renu Bhatia ,Director Sh Surinder Manchanda and Eminent Personalities of School were present at this Occasion .